In a decision that Yonhap called an “unprecedented breakthrough”, North and South Korea have agreed to form their first joint Olympic team and will march together under a unified flag during the opening ceremony. The two Koreas agreed to form a joint women’s ice hockey team to take part in the Winter Olympics to be held February 9-25 in Pyeongchang, the two countries announced Wednesday. Seoul’s Unification Ministry said the agreement was during talks on Wednesday at the border village of Panmunjom, after the North agreed to make its first appearance in the Olympic games in the South. North Korea boycotted the last Olympics held in the South in 1988. The Seoul ministry said athletes from the two Koreas will march together under a ‘unification flag’ depicting their peninsula during the opening ceremony. The rival nations have formed joint sports teams only twice before, both times in 1991, when they participated together in a youth soccer tournament and a table-tennis championship. Previous negotiating sessions designed to send a joint team to the Olympics were not successful the VOA reported. The International Olympic committee is slated to meet on January 20 at its Switzerland headquarters to discuss the details of the joint team as well as the North’s participation in the Games. The two Koreas have been pressing ahead with a flurry of projects to cooperate in the Olympics since North Korean leader Kim Jong-un abruptly said in a New Year’s speech that he was willing to send a delegation to the games. Critics say Kim’s overture is an attempt to use improved ties with Seoul to weaken U.S.-led international sanctions on the North while buying time to perfect his nuclear weapons program. But the moves nevertheless have provided a temporary thaw in the Koreas’ long-strained ties and fostered optimism that he North won’t launch any new provocations, at least during the Olympics. 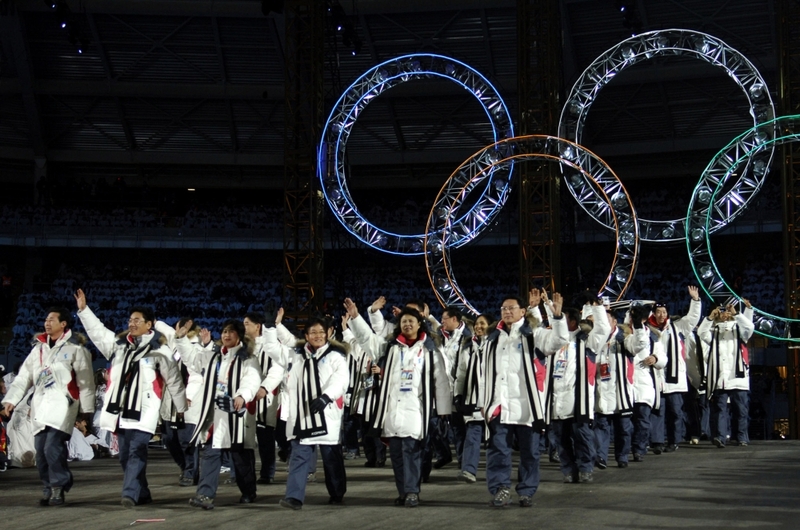 South Korea’s president previously announced his support of a proposal for the rivals’ first unified Olympic team. The North’s participation in the Olympics ‘will serve as a chance to warm solidly frozen South-North ties,’ President Moon Jae-in said during a visit with South Korean Olympic athletes, quoted by The Daily Mail. US & China Bracing For Trade War?